I had a friend who lived in Jasper, Alabama. She was crazy about the color pink. Pink this, pink that, pink everywhere. At Xmas, she had a special, small tree - in addition to her other two Xmas trees - that was entirely decorated in pink. And not only did she admit to it, she bragged about it. I have no doubt that you'll agree it's an exquisitely beautiful pink Xmas tree. However, they, too, had an alternate, traditional tree on display. Is this pink tree phenomenon a Southern thing?? 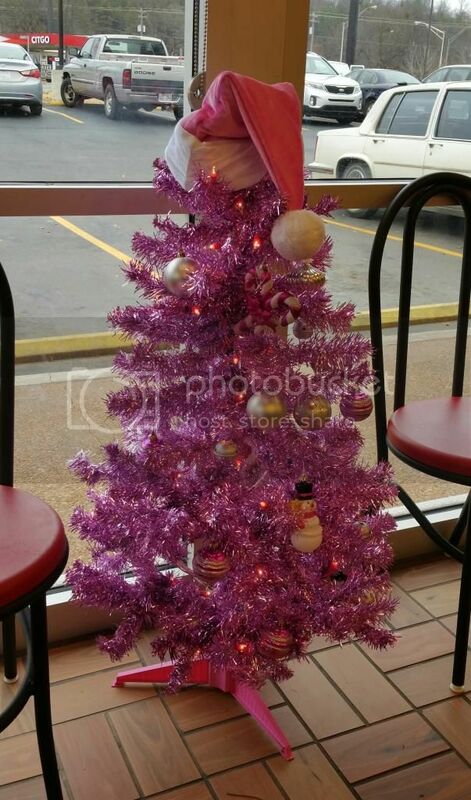 Does a pink tree always have to be accompanied by a traditionally decorated tree?